Which social channels should you be using for your business? | KateCoote. Which social channels should you be using for your business? I can also tell you that one of the most common mistakes I see businesses make, is trying to be all things to all people in terms of social networking. I’m going to let you into a little secret…. I don’t have a “Snapchat” account! It’s true, I’m a professional speaker who presents on social media and digital marketing, but I’m not on every social network…. Why? Because I know where to connect with my clients (present or future), and so should you. 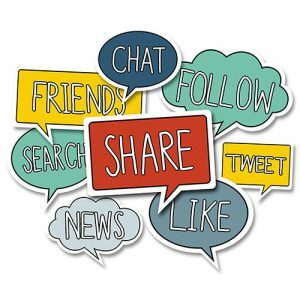 When you think about your social media strategy, remember it’s about quality not quantity, determine where your customers and prospects are, and then offer them valuable advice and information, but more importantly have a yarn with them…. Remember the key word is “social”! Before you even get to this though, you’ll need to determine your goals. I’m not asking you “why” you want to use social media in your marketing, because too often I hear the answer… “Because everybody else is”… What I’m asking is; what do you want to achieve from your investment in social media marketing? Do you want to increase your brand’s awareness? Do you want to connect with current customers or find new ones? Would you like to generate more website traffic? Would you like to increase your search engine ranking? Would you like to sell more products or services? Would you like to offer better customer service? It’s possible you’ll be able to do all of these things if you use your chosen channels well, but try to determine which are your most important goals, because it may help you decide which networks to use. You’ll also need to look carefully at your business as a whole before you determine which channels will best suit your needs. What’s your target demographic? Think about their age, their careers or professions, whether they are parents, what they do in their spare time. If you know who you’re looking for, you’ll be able to work out where to find them. Do you have the time to invest in creating blog posts and videos, or would you find it easier to commit to posting short text updates or images? Do you have an advertising budget for social media marketing? Over the past twelve months, Facebook have continued to place more importance on a users ability to be able to “pay to play”, so if you have no budget to boost posts or create paid advertising campaigns, then other channels may be more suitable. Once you have an idea of what your goals are, you can choose a social media platform that will best help you achieve them. There are so many to choose from it would be impossible to list them all, but here are a few of the more popular channels. Google+ — It has been implied by Google that active use of this platform may have a positive impact on where your company ranks in their search engine. I’m not entirely convinced. I have an account, but rarely use it, and yet many of my client referrals come from online search activity.